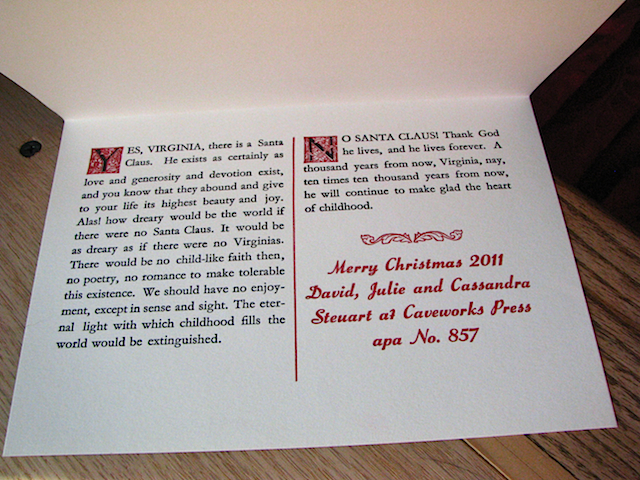 Home Letterpress Yes, Virginia there is a Santa Claus. 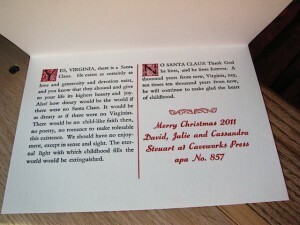 This year, with a six year old’s excitement about Christmas surrounding us daily, the bombardment of the commercial messages about gifting, and the need to retrain our eyes to see the magic and the sacredness in the season, nay the whole of life, has directed what I hope will be an annual tradition in our place: the letterpress printing of our Christmas card. 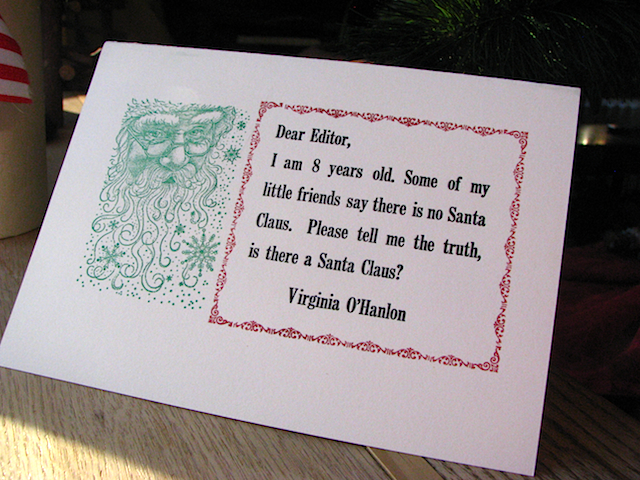 The story of the little 8 year old girl who writes a letter to the editor to ask if Santa really exists is still as relevant as it was in 1897, an age the editor calls “skeptical” in his full response to Virginia. 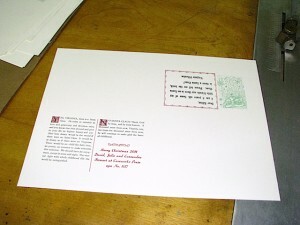 Here’s a little bit about how the card was made: The first color printed was green. 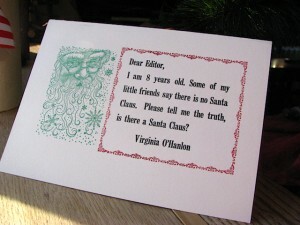 Since the Santa image was a rubber stamp, it would require different treatment than type in printing. 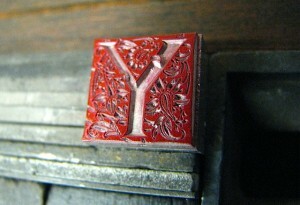 I lowered the bed of the Vandercook UNI II (which has an adjustable bed) to accommodate the over 1″ height of the stamp. 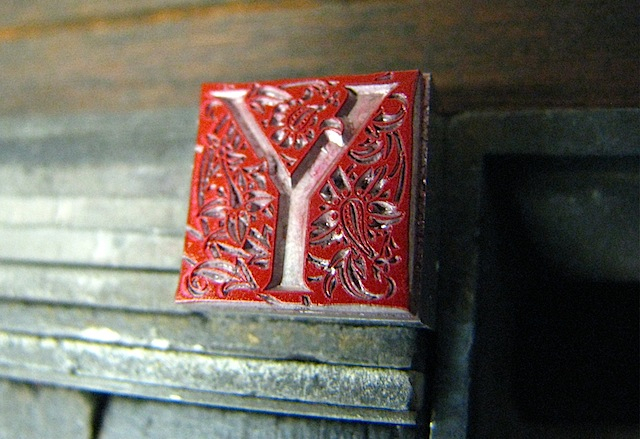 It required a “kiss” impression so that the rubber would not distort with the pressure applied by the cylinder. 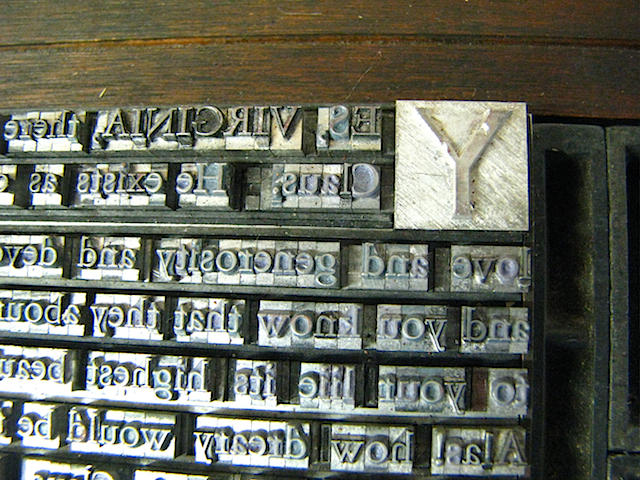 Next the red was printed (on a different day.) 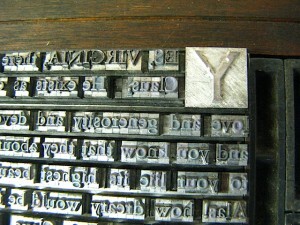 It was arranged to print 2-up, working and turning over to print the red on both the cover and inside at the same time. Next the black was run on the press, in the about the same setup. 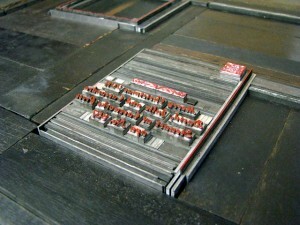 Showing how the printed sheet (Lennox 100 machine made paper) is a work and turn operation. For the Wikipedia entry on this holiday tradition see the story here. For the full text of the letters, see the Newseum.